"10 facts about Fuerteventura : 1. Fuerteventura is the second largest place after the prestigious resort of Tenerife in Canary Island archipelago. 2. The island is situated only in 90 km from the coast of Africa “Morocco”. 3. The coastline of Fuerteventura is about 340 km, mostly it's the cleanest beaches of white sand. 4. One of the unique features of the Island is the wind that blows constantly and you can surf all year round. 5. The water on the coast of the Island is always warm and even in winter its temperature is about +18 ° -20 ° C. 6. Puerto Rosario is an administrative center of the island (Port of Roses), until 1956 called Puerto de Cabras ( Goat Port ). 7. Islanders decorate their car bumpers and almost every second car has bumper with the image of goat with inscription «Fuerte». 8. " Elneso - Makerere " - a goat cheese of local production, practically, is considered one of the symbols of the island. 9. One of the beaches in the south of Fuerteventura was shown in the famous movie "Dawn of the Planet of the Apes." 10. The Island has one of the biggest cacti parks in the world, which collected more than 2,300 varieties of this " friendly " plants." 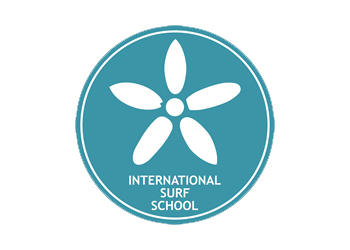 content taken from International Surf School surf school official website.